In recent years, craft breweries have surged in Michigan. According to M-Live, the amount of beer sold and produced in Michigan increased from 2 percent in 2007 to 10 percent in 2017. In addition, M-Live points out that the number of Michigan-based microbreweries increased from 34 in 2007 compared to 283 in 2017. This uptick in craft brewing is especially evident in Detroit, which currently hosts a number of eclectic breweries that are all worth checking out. Perhaps one of the most historic beer-related locations in Detroit is Traffic Jam & Snug, located on West Canfield in the Midtown area. Founded in 1965, the brewpub, which boasts— among many other things—an in-house brewery, a diverse and oft-changing menu, and award-winning cheese, has seen a lot of growth throughout the years. 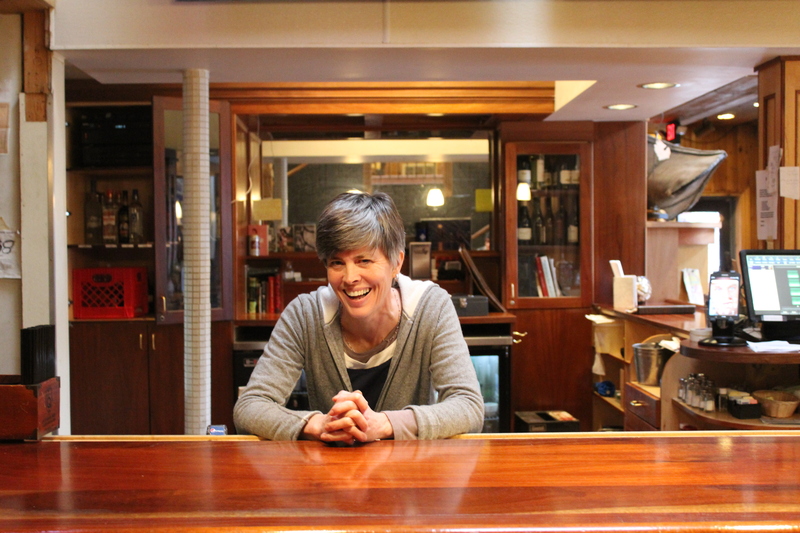 Carolyn Howard, co-owner of Traffic Jam & Snug, explains how the bar got its unusual name: “It was actually a bar, and the joke was that if that small bar did any business, it would be a real traffic jam.” According to Howard, the “Snug” part of the name came later. She explained that in the past, “in Ireland England and Wales, women and children were not allowed in bars and pubs,” adding that pub owners would build small rooms on the side of their bars referred to as “snugs,” where they would serve treats such as ice cream, pies, or cookies. “So when the men went to get their pint after church, the women and children would also get a treat,” she explained. Howard explained that throughout the 60s, 70s, and 80s, Traffic Jam & Snug continued to expand by buying adjacent buildings and lots, and subsuming them into the building. The land currently owned by Traffic Jam & Snug sits at a massive 20,000 square feet. Howard explains that this large amount of space allows the restaurant and bar to do what most bars and restaurants are unable to, such as house its own brewery as well as a dairy, bakery, and rooftop garden. Part of what distinguishes Traffic Jam & Snug from other breweries comes from its status as Michigan’s first brewpub. “A brewpub can produce beer, sell beer on premises, but does not distribute,” according to Howard. “Breweries do not have a liquor license. They cannot sell liquor, but they can wholesale distribute their beer,” she continues. The rooftop garden is a particular point of interest for Traffic Jam & Snug. They grow much of their own produce for the food they serve in their restaurant, their own herbs for their hand-packed dried tea, and, most notably, they grow the hops they use for their beer. Though Traffic Jam & Snug doesn’t have a consistent beer menu—they switch up both their food and beer menu regularly—they pride themselves on their freshly-made small batches from their own hops. “The beer you get is extremely fresh,” Howard explains, adding that “if you have a really good beer, you might not be aware of why it hits your palate so perfectly, but freshness has a lot to do with that.” However, Howard notes that they usually see the same types of beers doing well: “Some of the favorites are either the pilsners, or some of the heavier stouts. The coffee-focused stouts are always so good.” Currently, they offer an oatmeal stout with notes of coffee, a traditional amber ale brewed with Thai sweet tea, and a double IPA brewed with mixed oats with notes of caramel and toasted malt, among others. Just a few doors down from Traffic Jam & Snug lies Jolly Pumpkin Artisan Ales. Though it was originally established in downtown Dexter in 2004 by Ron and Laura Jeffries, it has since opened several locations throughout the state, including Detroit, Traverse City, and Ann Arbor, to name a few. 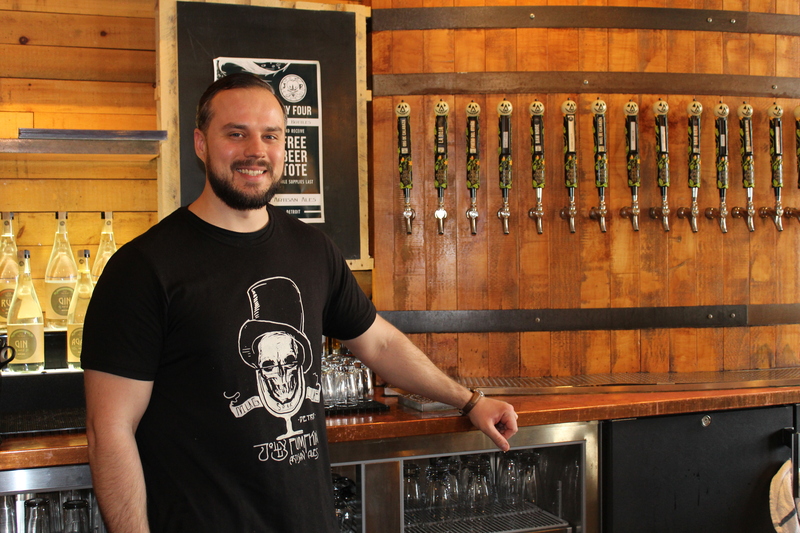 Jolly Pumpkin is even planning a new location in Dearborn, slated to open later this year. The Detroit location opened its doors in April 2015. According to general manager Kelly VanderEyk, the Jeffries “wanted to get in with the Detroit market because they knew it was up-and-coming.” It turns out they were right: the Detroit location of Jolly Pumpkin has been met with great success, earning inclusion on several Detroit brewery tours and regularly hosting out-of-town tourist groups, according to VanderEyk. “We’ve become kind of a Midtown staple, which is nice,” she noted. 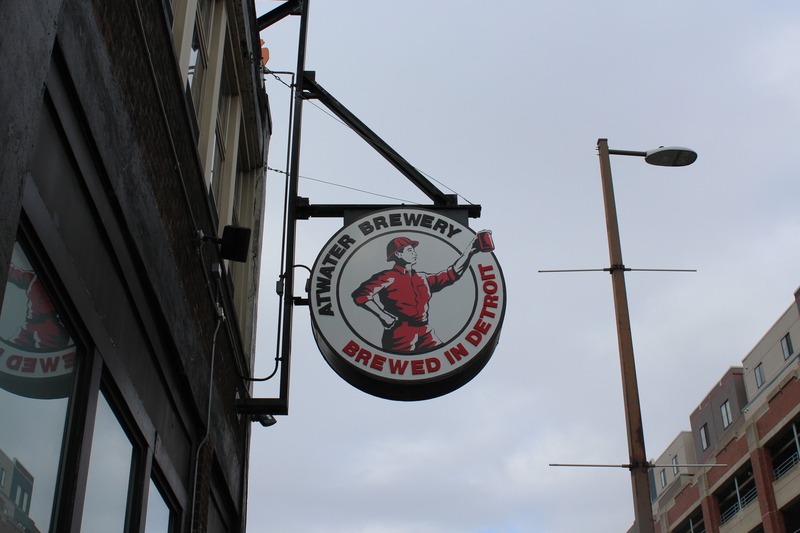 According to Atwater’s website, Henderson went over to Germany, bought a brewhouse, and learned how to make traditional German-style lagers. 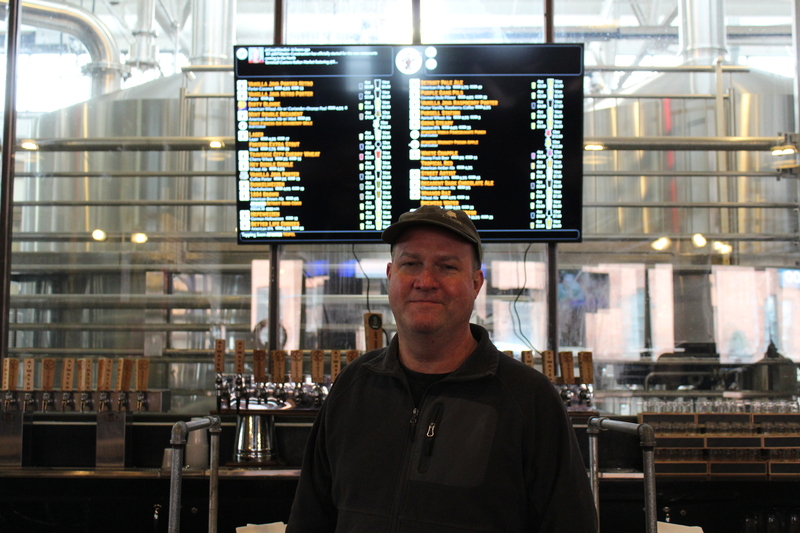 In 2005, Mark Reith purchased the brewery from Henderson. Over the years, Atwater has spread throughout Michigan, opening locations in Grosse Pointe Park and Grand Rapids. There is no question that the craft brewery market in Detroit is expanding, but it raises the question of whether or not the market is becoming saturated. Howard feels that the boost in popularity of craft brewing is generally positive, believing that it will keep the city of Detroit in people’s minds. “I think it, in the long term, will be one more point of interest to keep the city both at the forefront locally and nationally,” she says. “If the city can have that reputation as a great craft beer town, that will definitely help tourism,” she continues. This popularity has been especially noticeable in tours led by Motor City Brew Tours, which includes a Midtown walking brewery tour -- in which both Traffic Jam & Snug and Jolly Pumpkin are featured -- and an Eastern Market brewery tour, among others. However, this boom in craft brewing has its downsides, as well. The competition can be fierce, and it can be difficult for breweries to get their beers noticed against hundreds of other choices, especially in liquor stores. All that being said, Detroit offers a great deal of unique breweries both old and new that are worth checking out. Whether you’re looking for a German-style lager, a Belgium-inspired sour beer, or an oatmeal-based stout, Detroit is likely to have what you’re looking for.